And I don't even drink coffee! - "So what's your strategy?" And I don't even drink coffee! ...you wonder how Frodo is walking so far away from Sam -- wait, I don't see the chain!! Coffee Break, and at the comm. If I can make it the three weeks to Spring Break, I think I will survive this semester. Frodo/Sam *froths in the mouth* Haven't shipped them in AGES! Seriously woman, you have to get into it! 8D Once you go Death Note you never go back!! XD It will change your life. 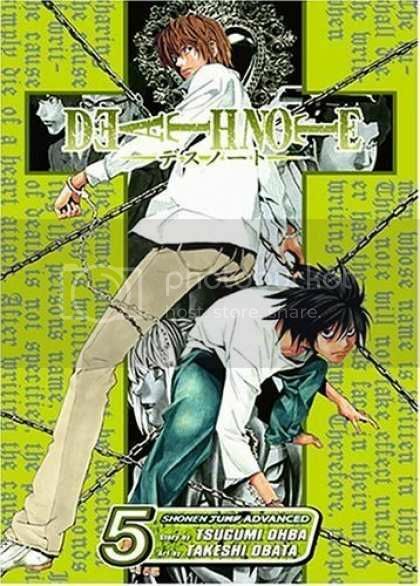 If I was with you right now, we'd have a Death Note marathon and I'll even let you read my entire box set of it. XD WHY DO YOU THINK I'VE TOLD YOU ABOUT THE AWESOMENESS OF IT SO MANY TIMES?!?!? And on another note, I have got back into Ugly Betty, where I ship my second and last het ship - Betty/Daniel. xD I AM GOING TO FAIL YEAR 12. Oooh, I've only seen like two episodes of that show, but it was fantastic. XD And I forget who Daniel is; is he the Nice Guy who works in the office with her? FF.Net has some of the best Frodo/Sam I've ever read, yo! Oooh, LOTR. One of my first pet fandoms. Tolkien is a GOD, seriously. Google "lord of the peeps", BTW. Definate lols to be had. The Two Towers was pretty damn fabulous, it must be said. Plus you got apple pie? *drooldrool* At least, after making it you really should have had the obligatory taste test - 50% of it is usually the most thorough test, and it's always good to be thorough! dammit sam! push him off into the lava! "I WIIII... oh. Hmm. Minor setback."